Not an incredibly world-changing method, but the common-sense approach sometimes goes missing when you have chosen some very different tasks – and also have to attend to some urgent ones that crop up. Batch similar tasks into work units and do in a consecutive flow. An example – batch all the social tasks together – attend to your email inbox; Facebook, Twitter and other social networks; and voicemail. Another example – batch all your book promotion or marketing tasks together – batch writing a guest blog post, your media sheets, and planning a book tour schedule together. The concept of context comes again, from GTD. The Getting Things Done approach is to batch tasks according to the action that needs to be completed, such as making phone calls, running errands and doing tasks at work. In that system, context is tagged to a task with an ‘@’. 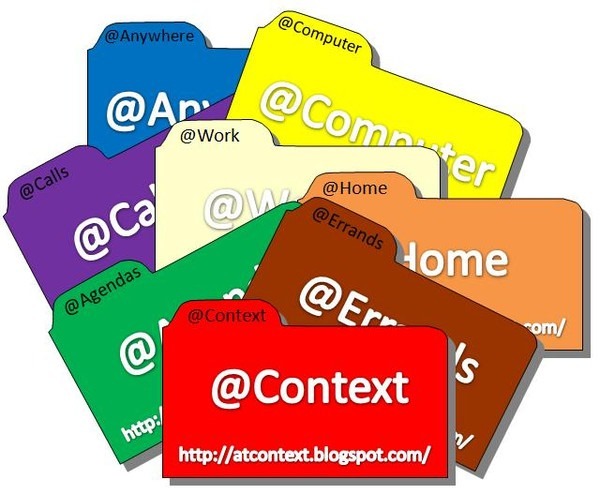 The original objective of tagging a task with @computer or @phone meant that you could group or find all the tasks which sat under the same context, and when you decided to, say, pick up the phone, you could locate all relevant tasks and action them all at that time. Context equals the area or environment and limitations you will focus within. This could be a tool, or location which allows for similar focus. It’s also been used to denote energy* or emotional levels suggested for the task (@routine, @thinking, @highenergy, @dreamtime, @full focus, @hardslog). Some GTD-type apps have hardcoded older context options within (@computer, for instance) so if using an app, make sure you can customise and add your contexts to suit. Prime problems are having too large a list size of contexts to choose from – this can result from customisation also, too much overlap, and contrarily, when being used in jobs which basically have the majority of the work in one context area (like, writing). In the above project example, if you create a series of @Project 1, @Project 2 etc, the system won’t work for you. That’s because you could have many different types of tasks – phone calls, writing, internet time, planning etc which could be lumped into @Project 1, but which require different types of tools and focus to achieve. The same has been said about using energy levels as context. You can have several unassociated or very different tasks sitting in an @highenergy context, but these may require very different tools and focus. According to this 43Folders article, jobs like those of a developer or writer have one similar context to our tasks – developers @code and writers @write. The problem is trying to differentiate – many writers might try to sub-categorise to create other contexts like @outline, @draft, @edit or @publish – much of which use the same environment and tools as the rest. 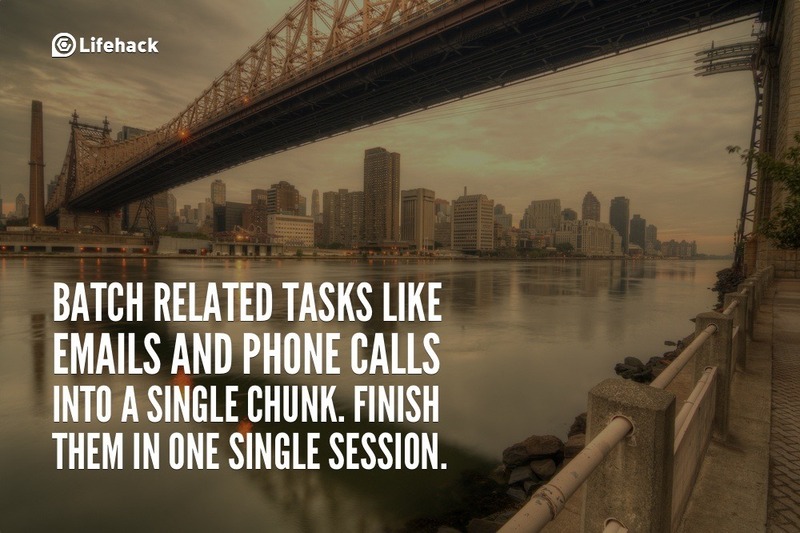 So, your batches of tasks are basically very similar. To me, it’s quite understandable why context, as a method, isn’t highly usable for tackling tasks. I tend to follow the policy to keep any I do use very simple. 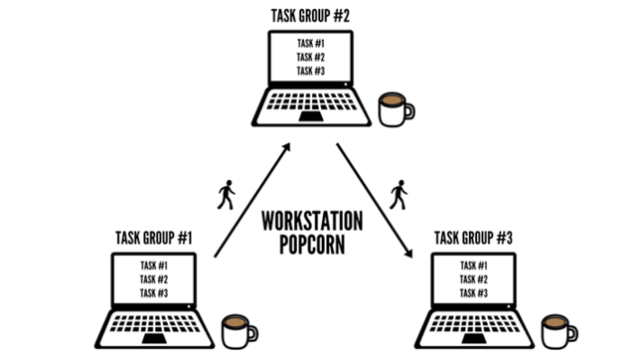 WorkStation Popcorn takes task batches on the road. The concept originated in a hacker.com forum, but was documented by Joel Runyon at Impossible HQ and later featured at several Lifehacker sites. The method involves choosing three batches or groups of similar tasks, and which will take a similar time to complete (around 2 to 2 1/2 hours per group); and three different locations within walking or biking distance – and away from the office and house. You then travel to the first location, complete the tasks, move to the second and so on. Switching location three times in this method may offer you some down-time and rest – and exercise between task batches. Walking has been found to increase productivity. Taking tasks away from the office may reduce distractions – although people like me find working at cafes equally distracting. And of course, similar tasks are batched together. Simplicity Bliss: A fresh take on contexts. Brandon’s Notebook: Well-Formed Context Lists. Task Streaming Apps – from To Do to Doing to Done – these are the swimlane type apps, where tasks are moved over into action, then completition states. 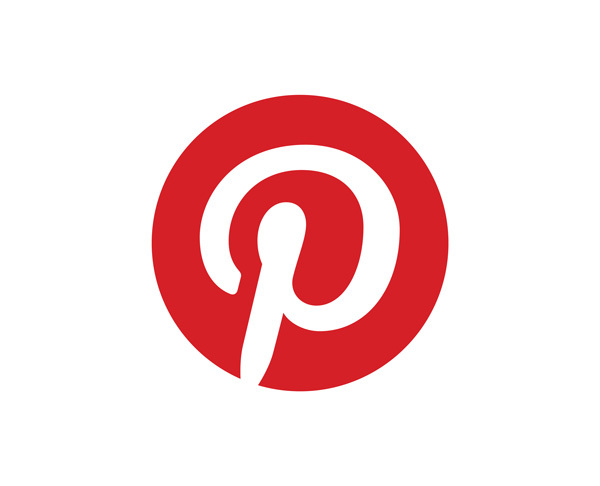 Many were profiled in this April post on Kanban Apps here, also listed at Listly. My favourite as regards being free, and available online and offline for mobiles, has got to be Trello. Coming Up: in next week’s posts I’ll be looking at several timer methods including Pomodoro, which help in focusing on batches of task – one task at a time.